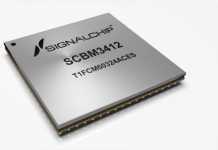 Analog Devices, Inc. on November 30, 2016, announced a new generation of high-precision successive-approximation (SAR) analog-to-digital converters (ADCs) that uniquely combine the attributes of high performance, low power, small footprint, and ease of use. These ICs enable mobile test and measurement instruments to operate for longer duration during field tests while improving measurement accuracy and repeatability. 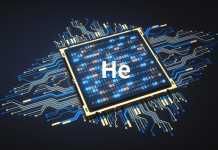 The new devices also support development of smaller-sized instruments, which can be placed closer to the sensors being measured, or allow for an increased number of data acquisition channels in the same form factor. An instrument with these characteristics will enhance the efficiency of field testing and reduce the costs associated with new product characterization time. The high performance and ease of use of the 2-MSPS, 18-bit AD4003 and 16-bit AD4000 SAR ADCs greatly ease the efforts of system designers tasked with achieving optimum performance in data acquisition designs within a shorter design cycle, and without the need for making often difficult and conflicting technical tradeoffs. Features such as high input-impedance mode and span-compression mode reduce the design challenge associated with the ADC driver stage and increase the flexibility of amplifier selection. The high input-impedance mode allows the use of low-power precision amplifiers to directly drive the ADC, and reduces the signal-chain power demands. In addition, the internal overvoltage protection removes the need for external protection devices, and the span compression enables the ADC driver stage to operate from the same supply rail as the ADC, thus simplifying power management. This combination supports increased channel density while lowering the system-level power requirements, without compromising performance. The AD400x series includes 20-, 18-, and 16-bit SAR ADCs with speed options from 500 kSPS to 2 MSPS.